It is again the dark time of the year, where taking a book, a glass of wine or tea and sitting down and reading is a great pastime. It is not like I don't read in the summer - I always read, all the time - but I didn't find the time to write during the warm months my book reviews, something that I now want to catch up with. 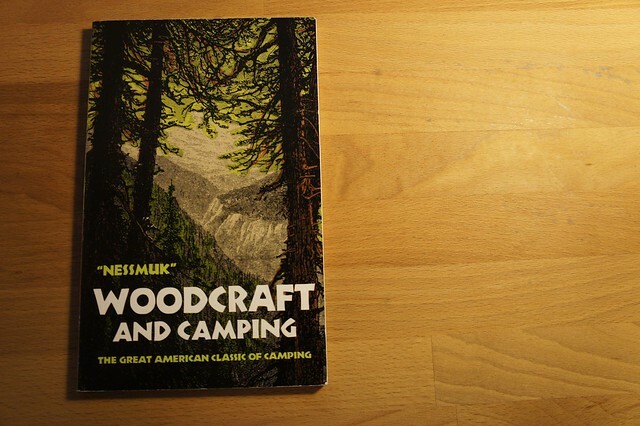 "So Woodcraft and Camping, heh, Hendrik. What has it got to do with ultralight backpacking?" I hear you ask. Well, I am a) looking over the boundaries of the UL universe and b) was Mr. Sears an early proponent of lightweight backpacking. Besides, UL backpacking is also about the skills, and looking at what is nowadays commonly known as "Bushcraft" we can learn a thing or two. I enjoy Nessmuk's humour a lot, it is that kind of selfaware, sarcastic way in which he writes. If you got a sense of humour similar to mine (pitch black with a hint of sarcasm), you will enjoy this book. It is written in an informative style, without being authoritarian on the topic - he shares his knowledge and explains what works for him, and why it should also work for others. Another interesting point about this book is that we can see that previous generations are thinking the same as we are nowadays. Nessmuk writes how he feels that his fellow citizens are very much out-of-touch with the nature around them, which is like many feel also today. Some things never change. As with previous book reviews, it probably is most interesting to make a short list of things which I have learned from it. Disclosure: If you buy the book via the link I will earn a couple of cents, as I have a Amazon Affiliate Account.